It’s good luck to the Reeds Rains team in Didsbury who are due to take part in a rowing challenge on a static rowing machine today (19 April) in aid of the charity, Cash for Kids. This is part of a collective fundraising effort by Reeds Rains who, as headline sponsors of this year’s Cash for Kids Superhero Day on May 5th, have been working hard to organise events in Reeds Rains branches across the north of England. Cash for Kids is a community based charity supported by Bauer Radio which aims to help less fortunate children and enable them to live life to the full and achieve their individual potential. Using the power of the radio the charity delivers initiatives and encourages local fundraising for disabled, disadvantaged and vulnerable children aged 0 to 18 as well as promotes special events like Superhero Day – which Reeds Rains is supporting again this year. And, even better, every penny raised locally stays locally so that supporters can be certain that their efforts will directly benefit a local child with a minimum of 80p from every pound donated going to the children in their community. 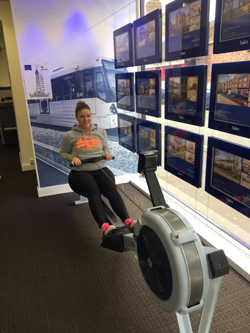 “We have borrowed a rowing machine from Infiniti Fitness Bootcamp and all the Reeds Rains team in Didsbury - including myself, Kimberley, the branch manager, Gemma Perry, Amy Copeland, Dominic Berry, Hannah Worswick and Olly Battram plan to row 56 miles – the distance to our neighbouring Blackpool office. It’s a difficult but, we hope, an achievable distance to row. We have already started rowing and won’t finish until we’ve completed the challenge when hopefully we’ll have raised a lot of money as a result of donations and contribution from visitors to the branch. We’ve already raised more than £200 by selling cakes over Easter and also holding a competition to guess the number of eggs in a jar. 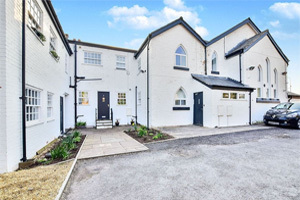 Well done Didsbury – we hope the event goes well.